A buy one, get one free sale on expensive Star Trek prop replicas isn't something that you see every day, but that very thing is happening right here at Entertainment Earth. 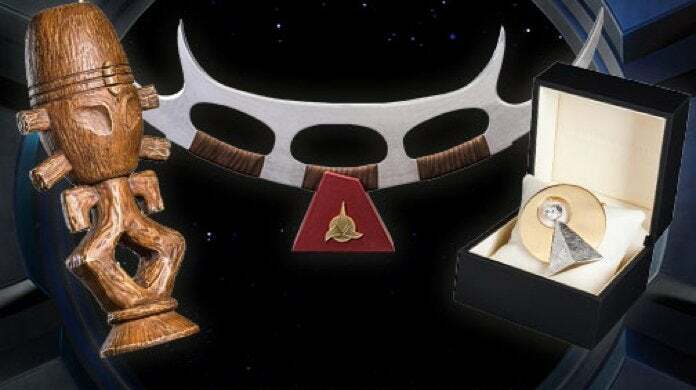 At the time of writing a BOGO free sale is live on Roddenberry merch that includes everything from a Bat'leth 1:1 scale prop replica to inexpensive rank pins. If you want to make the most out of this deal you need to go right for the pricey props. We've listed the prime targets below. Seriously, all of these items are buy one, get one free (even the shipping is free) which is pretty amazing given the price tags. There are more Rodenberry Star Trek items where this came from, so head on over to Entertainment Earth to shop the sale while it lasts. If you look on Amazon, the Bat'leth replica is over $400 and the Mek'leth is over $260, which should help to put this deal into perspective.